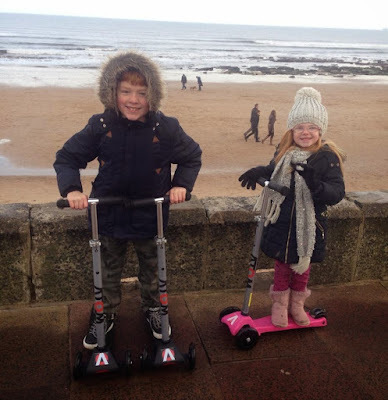 Harry and Heidi LOVE their scooters (Jack not so much) and enjoy going for a scoot whenever they can. We normally just take them along the cycle path or the sea front at Whitley Bay however every time we do, they always eye up the skate park and I know it's not long before they'll be asking to visit here with the older boys and girls. 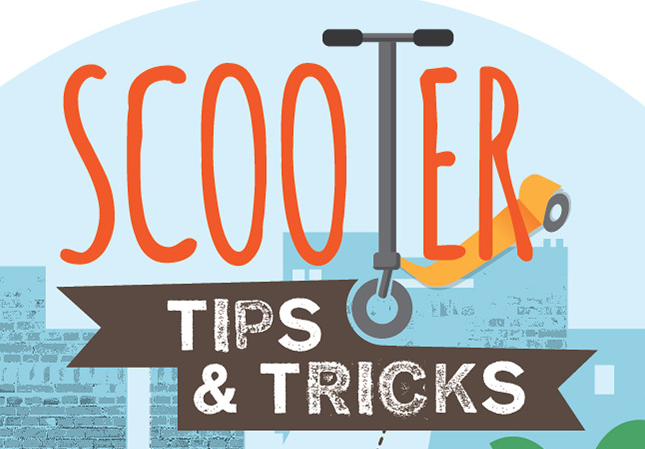 The thought of this honestly terrifies me however I am a strong believer in not wrapping kids up in cotton wool which is why I'm glad that Halfords have put together this fantastic informative guide featuring scooter tips and tricks so I can at least help them to be as prepared as possible. The guide features tips and tricks for all ages and abilities from the easy hippy jump to the more complex 180. With 3 easy steps I'm sure H&H will master a few of these in no time. 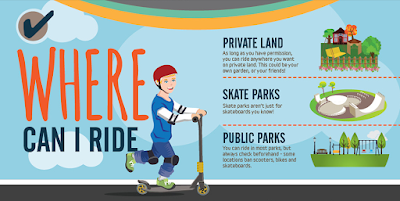 The guide also contains lots of easy to read information such as where is safe to ride and which protective gear you should be wearing to stay safe. 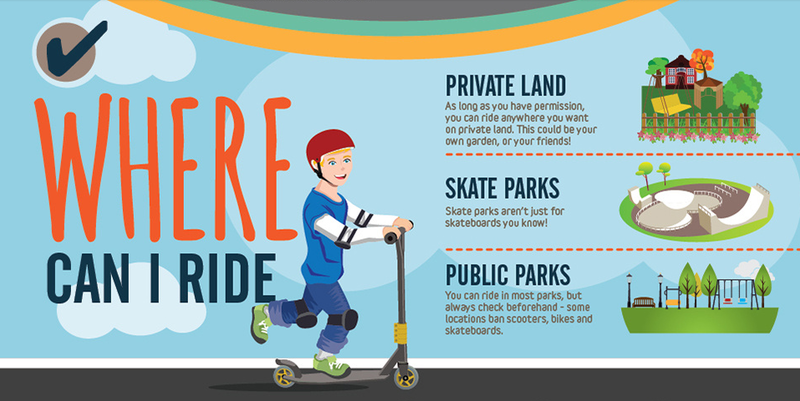 There is also a fantastic scooter buying guide with tips of what to look for (I can't believe how many types of scooter are out there) to help you choose the right model for your child this Christmas. If a new scooter is top of your child's Christmas list this year, you would be mad not to read Halford's Scooter tips and tricks guide first and make sure you check out Halfords full range of scooters on sale from only £8. 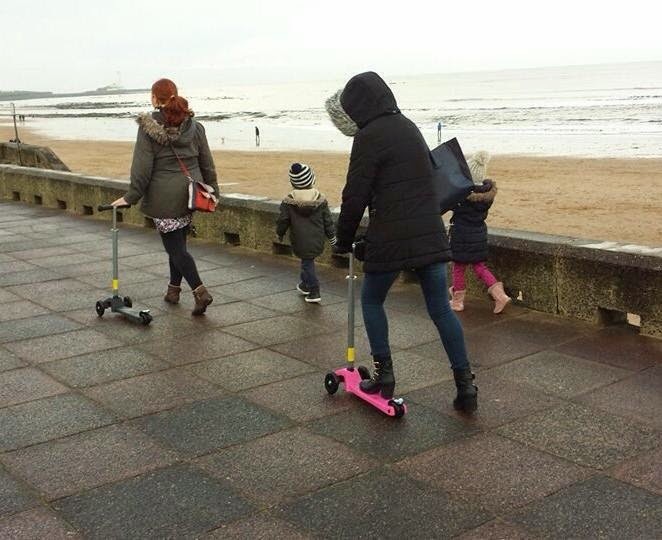 I'm going to bookmark Halford's guide for our next scoot along the coast and get the kids to try some of the stunts themselves. Who knows, the grown ups might get in on the action too! 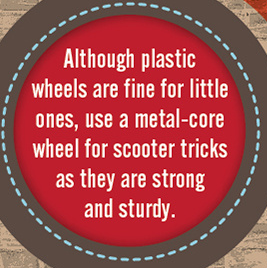 I'd love to hear which scooters you recommend and if your kids have tried any of these stunts? Some great tips thank you. 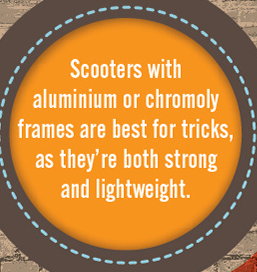 Great scooter infographics the bunny hop tutorial is great!